Strange Brigade came out yesterday, which of course means a host of Strange Brigade review scores for you to digest. The co-op horde adventure meets 1930s Egyptology in what strikes me as an interesting, if somewhat underserved genre. That mixed response sounds largely on par with the rest of the game’s reviews. At the time of writing, OpenCritic scores the game at a 73 across all platforms. Metacritic goes ever so slightly higher, offering the game’s PC release a 75, but overall, critics seem to agree that Strange Brigade is an entertaining shooter that should keep you and your friends entertained for a while. Unless otherwise stated, all reviews scores are for PC. 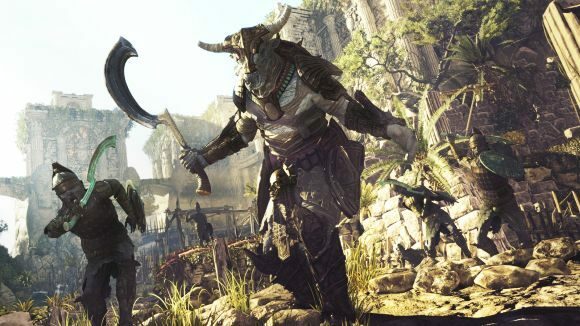 You can check out Elliot’s Strange Brigade preview, but without further ado, here are those review scores. As suggested, it is something of a mixed bag, but the majority of reviews seem to hover somewhere between 6 and 8/10. As with all games like this, however, it’s worth pointing out that it’ll be best with friends, and at that point, it’s all about what you make of it. Strange Brigade is out now.